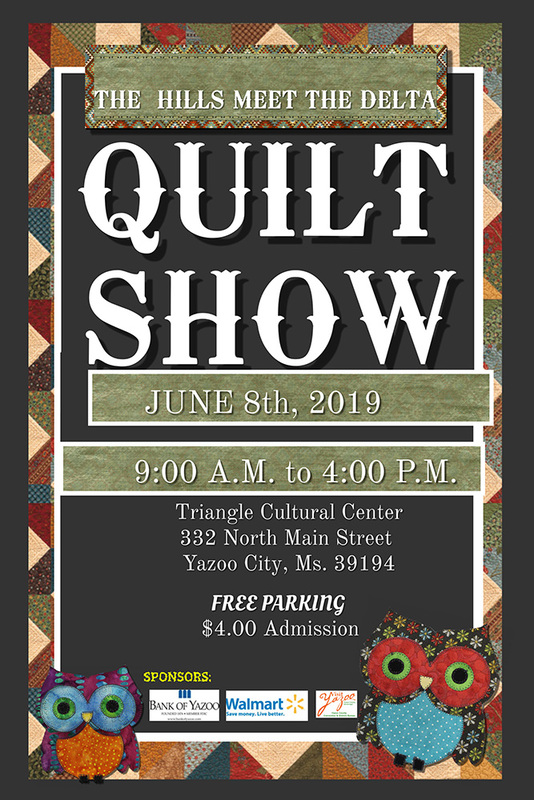 Hills Meet the Delta Quilt Show Head to downtown Yazoo City on June 8th, 2019, for the Hills Meet the Delta Quilt Show at the Triangle Cultural Center 332 North Main St Yazoo City, Mississippi 9:00 a.m. to 4:00 p.m. Admission is $4 and benefits the Friend of the Triangle. For more information contact Phyllis Haynes at 662-590-5415 or Lois Russell at 662-746-2273. The Hills Meet the Delta Quilt Show is sponsored in part by an Event Sponsorship from the Yazoo County CVB.